We are always looking for back load opportunities, this enables us to maximize the use of spare capacity on the return leg of a journey. It makes more efficient use of valuable resources, such as fuel and driver time, by finding loads that need to be shipped between similar areas as those visited by the returning vehicle. Collecting additional loads for the empty or partially loaded return journey of an outbound vehicle can. 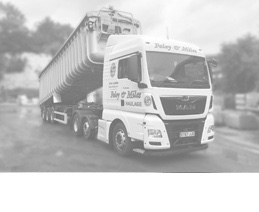 Help maintain a low environmental impact and good cost control by minimizing empty running for our fleet and other hauliers. Whether you’re a multi fleet haulier or single operator Foley & Miles can help you with the right back loads to keep our vehicles returning full. 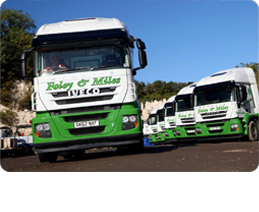 Whatever your route if you are looking to fill return loads we provide a simple, cost effective solution. 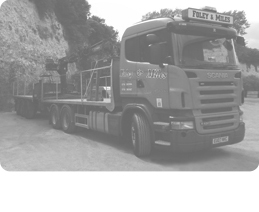 We operate predominantly from Kent and Essex, although please phone for more details as we can offer a nationwide service.